TEFL brings a world of teaching opportunities within reach. For adventure seeking English speakers, teaching overseas can be an exciting way to see the world and experience new cultures. This TEFL course will provide you with the skills and confidence you need to teach with authority and find employment with a respected school. It will also prepare you to navigate the demands of a changing marketplace and the stresses of living and working in a new country. 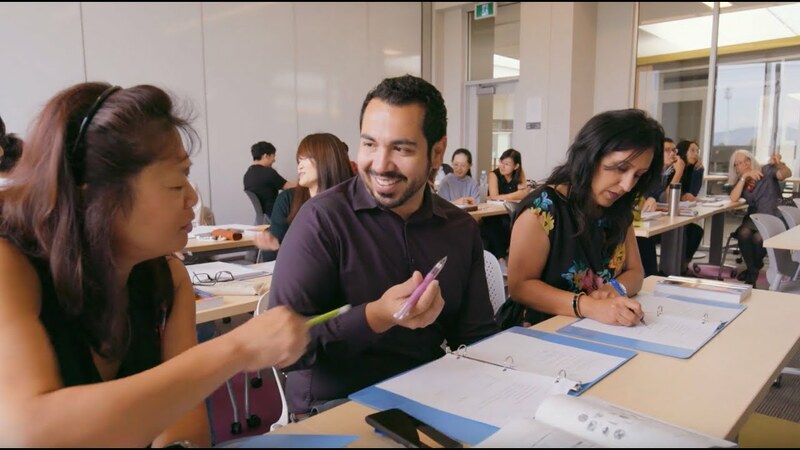 Under the guidance of internationally-experienced teaching experts, this 3-month (120-hour) non-credit course provides a foundation of the theoretical concepts, methodologies and practical skills necessary to successfully and confidently teach English language in an international context. This course is intended for aspiring teachers of English language who are fluent in English and who have interest in teaching abroad. Previous teaching experience is not required. While not a formal prerequisite, we recommend that participants have previously completed a program of undergraduate study. This course is normally delivered on Tuesday and Thursday evenings (6:15 – 9:15 pm) and alternate Saturdays (9 am – 3 pm) from mid-September to early December. For more information, or to be placed on our mailing list, please contact tefl.admin@uvic.ca or 250-472-4507. A full refund—less an administrative fee of $150—will be issued if you withdraw within six calendar days after the official course start date. A 50% refund —less an administrative fee of $150—will be issued if you withdraw within 14 calendar days after the official course start date. Depending on your method of payment, a refund will be either mailed to you or credited to your credit card.